One of the oddest things about watching ABC’s Inhumans series is trying to shake the feeling that, in some alternate universe, it’s probably a good show. All of the necessary components of a good story are there, but it feels like neither ABC nor Marvel really knew how to put them all together. If there’s anyone who knows a thing or two about fitting a mess of smaller, simpler ideas together to build something more interesting than the sum of its parts, it’s Lego—especially the braintrust responsible for developing the brand’s Marvel Super Heroes franchise. In the latest trailer for TT Games and Warner Bros. Interactive Entertainment’s upcoming Marvel Super Heroes 2, the Inhuman Royal Family jumps into the fray, and while it’s lovely to see them zooming around in minifig form, what’s most shocking is how much better they all look here than in Inhumans. I mean, look at the way Medusa’s hair moves! 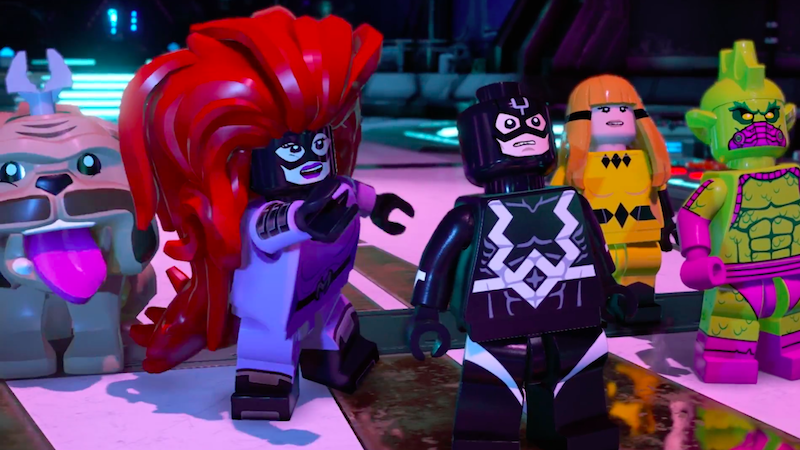 If you’d told me a year ago that the closest thing to a good live-action adaptation of the Inhumans source material was going to be a trailer for a Lego video game, I would have told you that you were... probably right. What a world. Marvel Super Heroes 2 hits stores November 14.